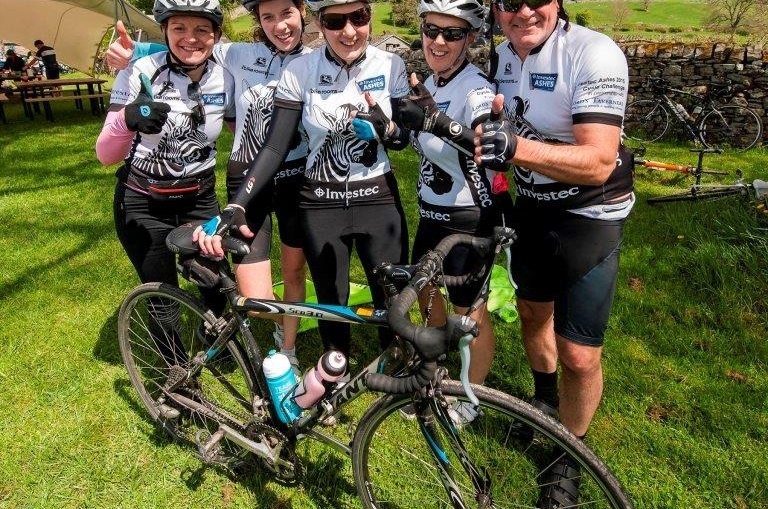 Investment Managers Investec Wealth & Investment and designers Absolute Commercial Interiors have been confirmed as Carter Jonas’ sponsors for the region’s largest annual charity bike ride for the business community. Organised by Iconic Cycling Events for the national property consultancy, the Carter Jonas LandAid Pedalthon has already attracted more than 280 riders from 66 business teams from across the region. Two routes are available to riders, the 40-mile social ride or 80-mile endurance ride, both of which take in the glorious Yorkshire countryside and part of the 2014 Tour de France route. Now in its fourth year, the 2017 ride will take place on Friday 12 May and once again raise money for LandAid, the property industry charity working to end youth homelessness in the UK. Last year’s ride raised more than £15,000 for the charity – a target Carter Jonas hopes to exceed this year. The ride is co-sponsored by Yorkshire brewer T&R Theakston and will start and end at the brewery in Masham. There will also be food stations at Studley Royal Cricket Club and The George at Wath which will champion Yorkshire produce. Yorkshire Tea, the Wensleydale Creamery, Heck Food, Yorkshire Provender, Dine, Baltzersen’s and Appleton’s Butchers are just some of the Yorkshire producers helping to power the pedals of the riders. This is the second year that Investec Wealth & Investment has supported the Pedalthon and a team of ten will be cycling the 80-mile route. With offices located across the country including Leeds, the business offers a diverse range of financial products and services to a wide client base both in the UK and abroad. Absolute Commercial Interiors provide award-winning design, space planning and furniture to a nationwide client base. A team of eight will be cycling the 40-mile social route. Andy McNab, investment director at Investec Wealth & Investment, said: “The Carter Jonas LandAid Pedalthon has always been a very well organised event in a fantastic location. Bruce Allan, partner of national Property Consultancy Carter Jonas, said: “It’s fantastic that prestigious businesses like Investec Wealth & Investment and Absolute Commercial Interiors are sponsoring the Pedalthon and taking part in the ride. Sponsorship packages include eight rider places, branding at the start of the event and a gazebo, as well as other promotional opportunities. Entry is open to both individuals and corporate teams, and costs £75 per rider or £400 per team of 6. The full entry fee will be donated to LandAid.